Transferceutical Science encompasses the research, technology, and innovation of products that educate your immune cells, supporting your immune system’s ability to recognize, respond to, and remember potential threats. This valuable education gives your body the extra edge to lead a healthy life. Salt Lake City, Utah (March 17, 2016) For the twelfth year, 4Life Transfer Factor products are featured in the Physicians’ Desk Reference® (PDR). This reference tool includes a suite of services that provide healthcare professionals with multichannel access to important health-related information including digital communication services, PDR.net®, and mobilePDR®. The 2016 edition provides in-depth product information about 4Life Transfer Factor® Tri-Factor® Formula and offers a technical description of the Tri-Factor formula product line. 4Life reinforces its commitment to transfer factor science with four U.S. patents and 32 international patents, an in-house Research and Development team, and the scientific contribution of the Health Sciences Advisory Board. Salt Lake City, Utah (March 9, 2016) Today, 4Life executives announced the first 2016 addition to Team 4Life, world-class rodeo steer wrestler Wyatt Smith. At 27 years old, Wyatt is ranked among the top ten steer wrestlers in the world. He has won the San Antonio Stock Show Rodeo and is a two-time Wildernesses Circuit Champion. In 2014, he qualified for the National Finals in Las Vegas. “Nationals is every cowboy’s dream,” he says. In addition to his rodeo training, Wyatt is also a spokesman for Project Filter, Idaho’s tobacco prevention and control program. His current focus is on a Gold Buckle and the title of National Finals Steer Wrestling Champion. Team 4Life is a group of world-renowned athletes who enjoy using 4Life products as part of their training regimens. 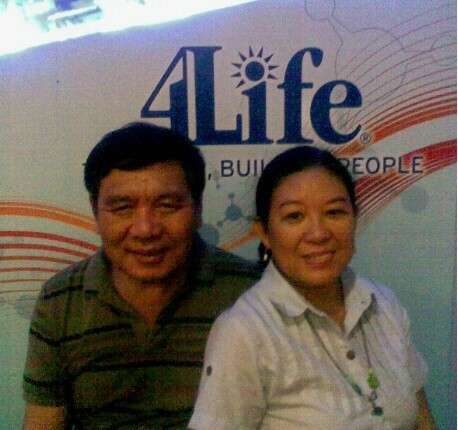 They also serve as brand ambassadors for 4Life distributors.Click here to see the full team. Salt Lake City, Utah (December 1, 2015) Today, 4Life General Managers from around the world gathered for a ribbon-cutting at the new 4Life manufacturing facility in Vineyard, Utah. The facility will adhere to current Good Manufacturing Practices (cGMP) as outlined by the Food and Drug Administration (FDA) and includes state-of-the-art packaging, encapsulation, and blending equipment to ensure the highest level of product quality. 4Life broke ground on the new manufacturing facility in December 2014 in order to meet the needs of its expanding global business. Raw materials and finished goods will continue to be tested by 4Life scientists in the company’s analytical laboratory. The new facility will include manufacturing of 4Life®Transfer Factor Plus® Tri-Factor® Formula, 4Life Transfer Factor® Tri-Factor® Formula, and Renuvo®. “As an industry leader in the science of supplementation, our new manufacturing facility will guarantee quality and customer satisfaction for years to come,” said Founder David Lisonbee from Brazil. For more photos of the facility, ribbon-cutting highlights, and the activity of worldwide general managers, visit the 4Life Research®Facebook page. 4Life has offices on five continents to serve a global network of independent distributors through science,success, and service. 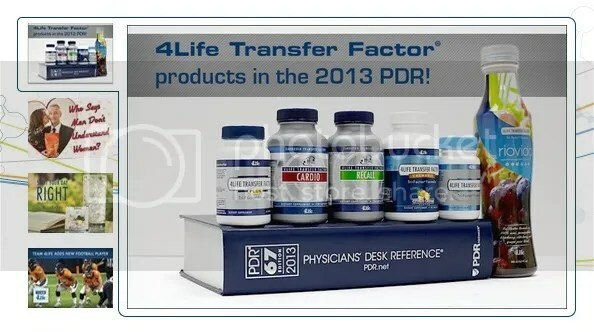 Salt Lake City, Utah (January 8, 2013) 4Life executives are pleased to announce that 4Life Transfer Factor® products are listed in the 2013 Physician’s Desk Reference (PDR). The 2013 edition of the PDR provides in-depth product information about 4Life Transfer Factor® and 4Life® Transfer Factor Plus® Tri-Factor® Formulas. In addition, the publication offers a technical description of the product line and synopses on several scientific studies. With nine worldwide patents and dozens more pending, an in-house Research and Development team, the scientific input of the Health Sciences Advisory Board, and the industry’s only immunological testing lab, 4Life’s commitment to Transfer Factor science is well established.